A 20 side dice was found from the Graeco-Roman period 1st century AD, possibly used for divination, from the Dakhleh oasis. The original dice has a God's name inscribed in Demotic (cursive Hieroglyphics) on each side. 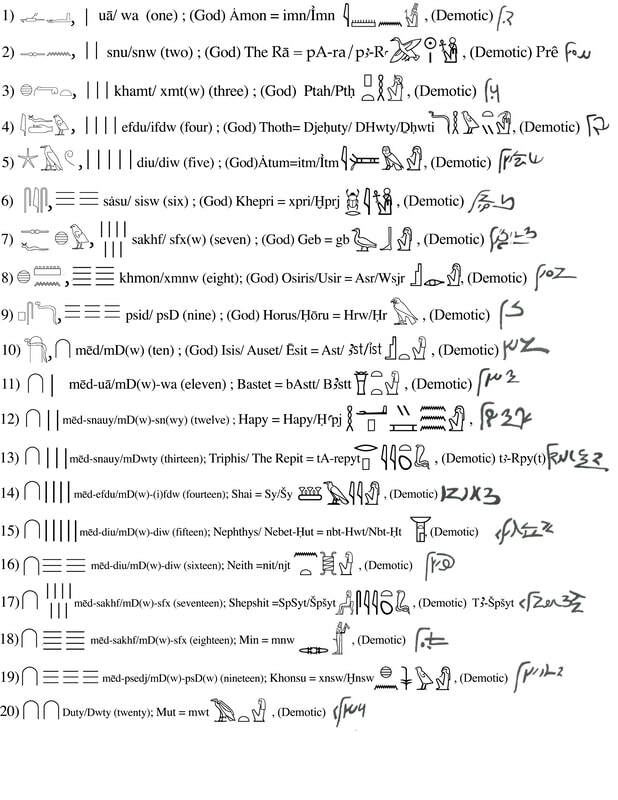 I have provided the hieroglyphics for the gods names and it's Demotic equivalent, the numbers that correlates to the side it's on, the number in Egyptian as well as pronunciation, if you wish to recreated the dice.You can purchase a large blank 20 side dice here to make your own. If you would like more info link.